Do you even know how important it is to clean your mattresses? You can conjure that just by the time you spend curled up like a ball in your mattress. You spend one-third of your life on this mattress. Keep it clean and tidy and give it the Deodorizing and Sanitizing it needs to get yourself the best of feelings. To see the best kind of Fabric Protector for you mattress reach out to a professional mattress cleaner. To treat your mattress with any commercially available cleaning spray, you need to first, see whether the detergent goes well with the material of the mattress. So as to not spoil the fabric of the mattress. Yes, you can always pull a bedsheet over but still. Now get a cloth and a brush to rub the detergent on the mattress. Make sure there is some amount of water mixed with the detergent. Do not use a hard bristled brush, a scotch brite kind of brush is one of the most preferable ways of cleaning the mattress. In the third step, you will need a clean cotton cloth and some clean water. 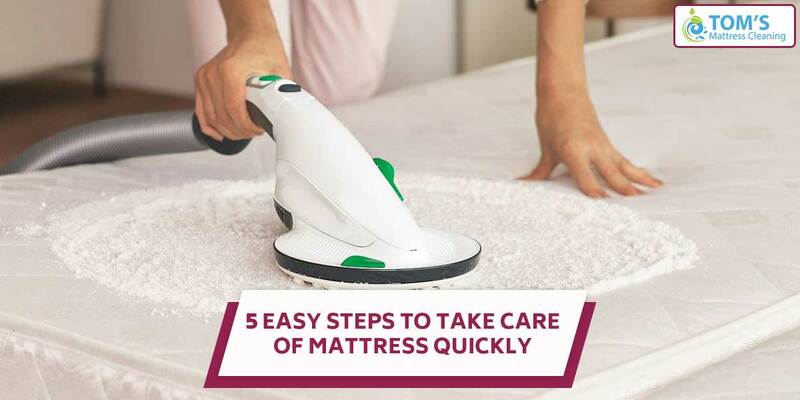 Use this to clean the mattress and remove all the extra dust, dirt along with detergent. Follow the above procedure twice and then let the entire mattress dry. Know that letting the entire mattress dry will only give you the cleanest of the mattress. To forewarn there might be a slight chemical odor at first, but if left in a well-ventilated space for a day after spraying, the smell should disappear. Also, you may notice that the colors in the fabric will slightly darken, so if this a concern, you might consider testing the spray on a scrap piece of the mattress fabric before treating your actual mattress. Now enjoy using your new mattress or purse without worrying! It’s protected! So enjoy your protected mattress! It Is also important to note that there are many different ways of cleaning, Deodorizing and Sanitizing your mattresses. For example the steam meaning of mattresses, dry cleaning of mattresses, etc. At times it can be difficult to gauge the idea of the same and one might end up destroying the quality of mattresses while cleaning it. It is always advisable to always hire a professional mattress cleaning company. Tom’s Mattress Cleaning has been satisfying customers for years now, they give you tailored cleaning solutions for the best of service. Call us on 1300 068 194 to get same-day, on-site services.